Happy Flashback Friday & five more new videos! 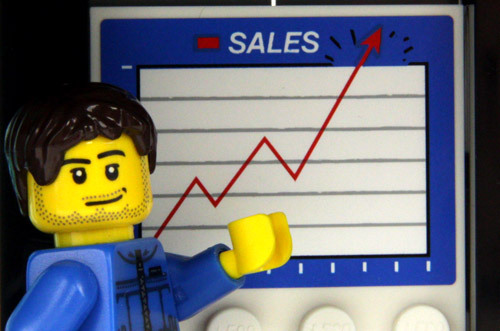 You'd think that with LEGO release season in the books things would slow down. Naahhh! This evening I've uploaded an eclectic selection of new videos with a little something for everyone! 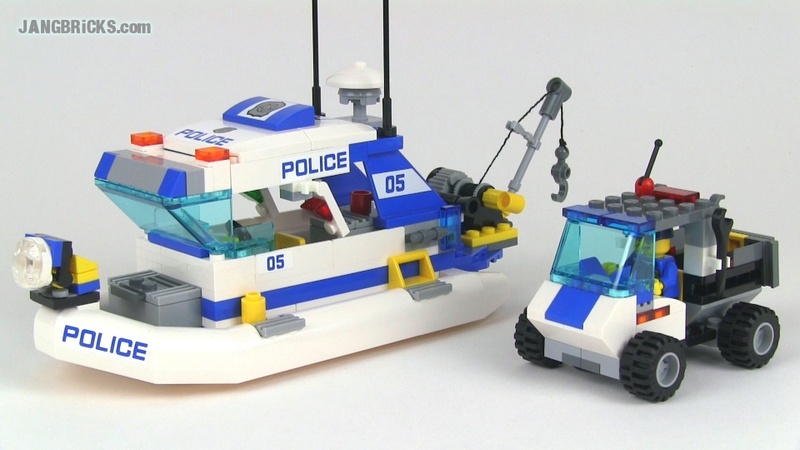 LEGO System 6533 Police 4x4 set review! From 1992! 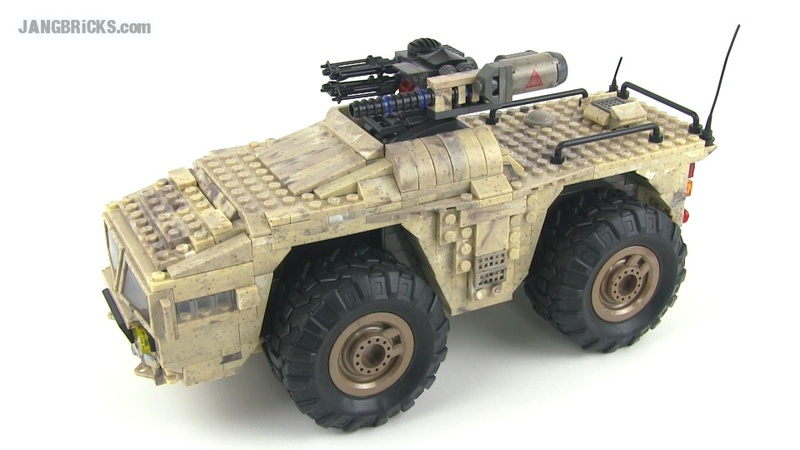 Mega Bloks Halo UNSC Arctic Wolverine (2010) set review! Behind the scenes: LEGO Death Star destroyed! See that? That's the Death Star. The whole thing. Destroyed! Yep, I didn't even keep that set together! By the time you read this, at least 90% of those parts will be already neatly sorted away into my parts bins! This shows the current status of my Planetary Defense Force army, which was already updated with new parts from the above BL hauls, before that video was published! Time is a very relative thing! More on that theme soon. Yeah buddy! The picture looks small, but that stack-o-bins is two feet wide, almost 1 1/2 feet tall! All unsorted parts waiting to go into the proper collection. 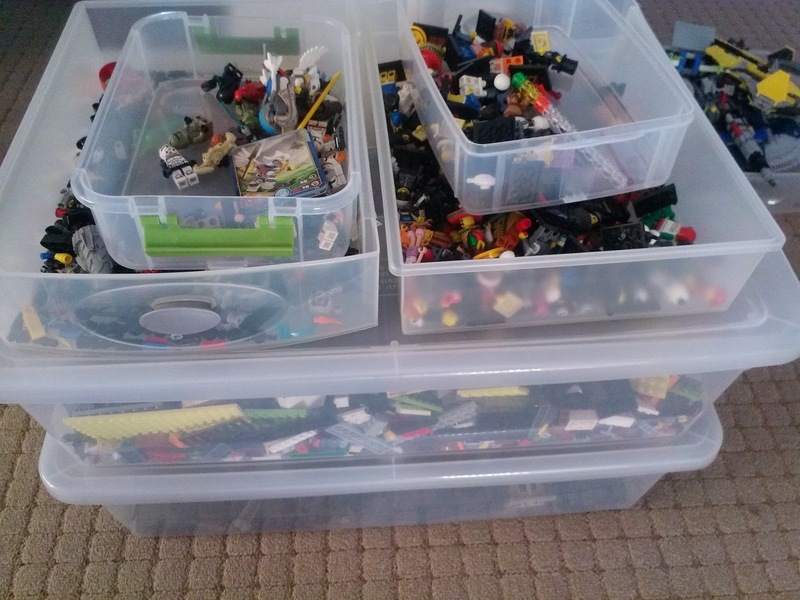 The bottom is Mega Bloks parts, followed by miscellaneous LEGO stuff. Next upward on the left are all of the Hero Factory IFB parts that didn't go in my HF-centric part bins, and the rest is mostly minifig stuff. With the exception of the handful of Star Wars items in the tub that can just barely be seen in the upper right hand corner, this mountain of stuff is all just extras, not including any of the recent full 2014 sets I reviewed; you saw those still sitting on shelves last time and they haven't been touched yet! This is just miscellaneous stuff that has accumulated over the past couple of months! Everybody sees the YouTube videos that just magically appear online, sometimes ten or so of them over the course of a single hour. Very, very few people ever see the hours, days, and weeks of overtime effort that go into making those short little videos. Some of the work is quite unexpected, like the task of discarding packing materials & boxes! The photo above (click to see it larger) shows just the most recent stack of cardboard items that I had to shred by hand into the recycling bin. Foot-crushing doesn't work at all -- I need all of this stuff small & absolutely flat to fit! During peak product release season I generate a stack this size about every two weeks, and the picture doesn't even show the mountain of bags and intermediate packing materials that were dealt with separately. The boxes in the pile offer interesting hints into what goes on behind the scenes. 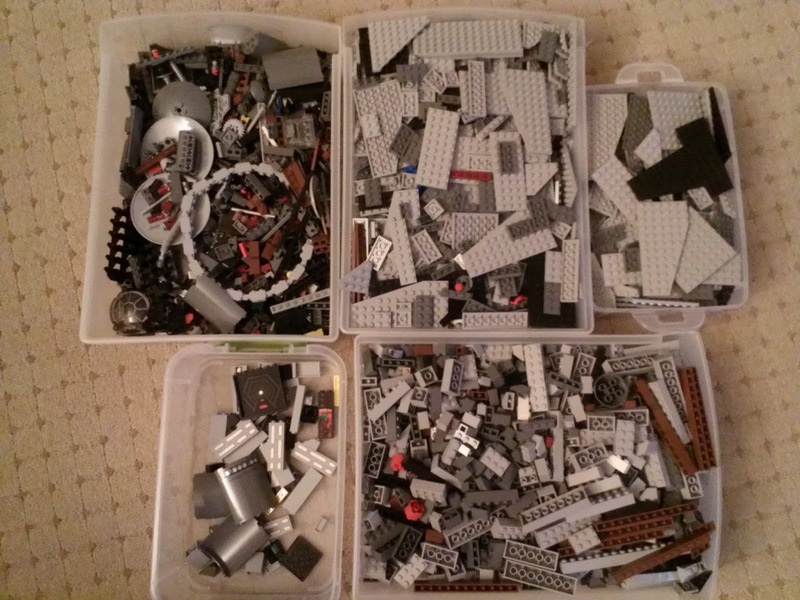 There are a number of never-filmed duplicate sets, purchased just for parts for MOCs. There are some hard disk drive boxes from the newest additions to my many terabytes of raw video storage needs. In one corner are a couple of boxes from custom-cut Venetian blinds that went into the entirely new studio space I started using last week. There's no magic to what I do, just a whole lot of work, most of which is never seen! 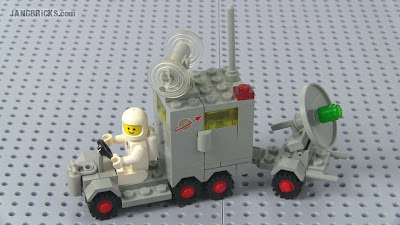 Here's another mini-set for all of the LEGO Classic Space fans out there. A throwback to 1983 here, when the thick-chinned helmet was all the rage! 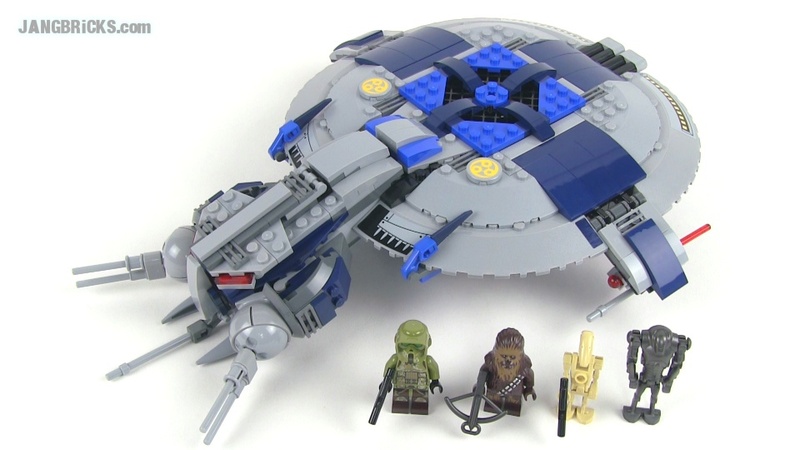 LEGO classic Space 6823 Surface Transport reviewed! What. A. Day. 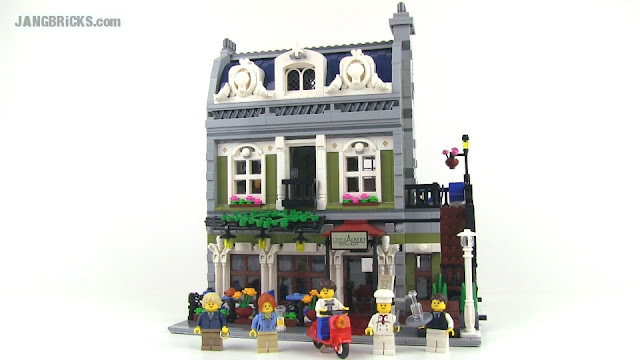 With the last batch of video uploads I officially finished the first LEGO release season of 2014 (which, of course, started in November of last year). That's huge for me because I've been busting my behind on these reviews and am desperate to do some actual creative, custom work. On this same day (for me), I also hit the 1,000 (public) video mark on my JANGBRiCKS YouTube channel. It sounds like a big number, but I've been there before on another channel and it feels like deja vu to me. More substantially, I got my 75,000th subscriber, is mind-boggling when I look back just two months to when I was at 50,000. That's 50% growth in 60 days. That's bonkers. I don't even know what to say to this other than the customary heartfelt THANK YOU to all of the viewers who have shown me so much support! 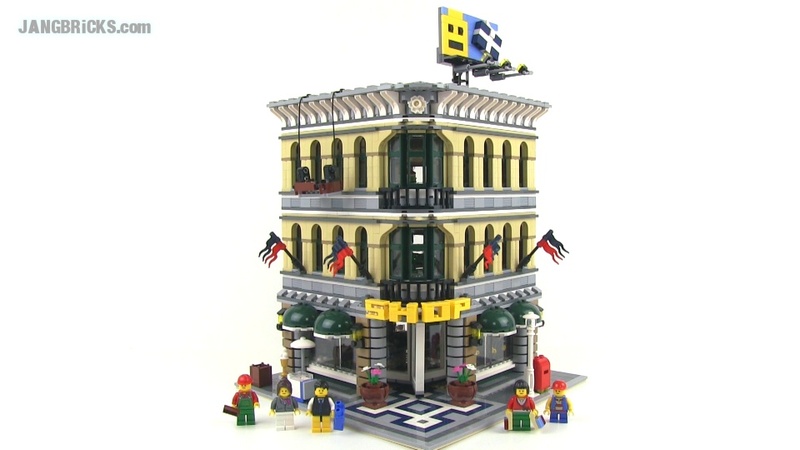 Well, 2014 release season #2 starts in about 4 months, so that's a whole lot of time to really focus on building up my all-custom LEGO city, in addition to kicking off a second large display that I'm keeping a mystery for now! LEGO Star Wars 10188 DEATH STAR reviewed! 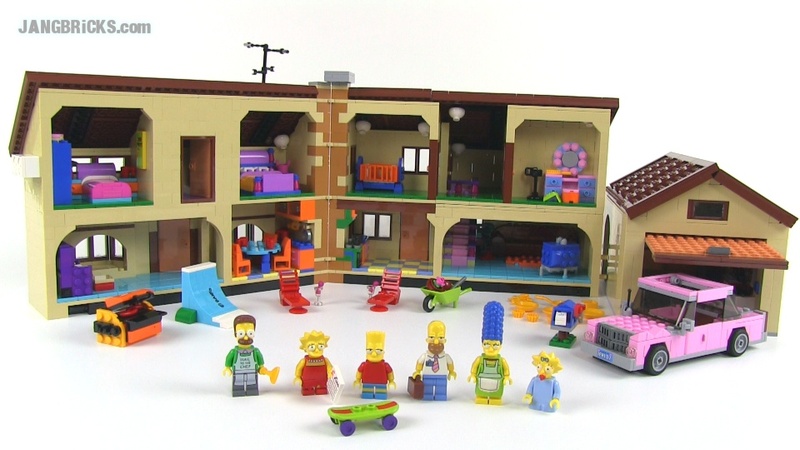 Over 3,800 pieces. 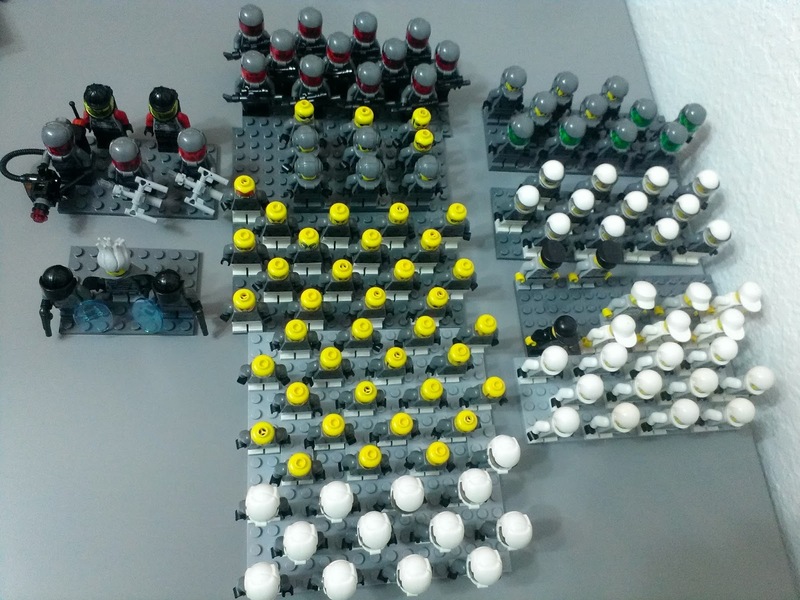 A total of 25 minifigs, droids, & creatures. A completed weight of over 11 pounds. 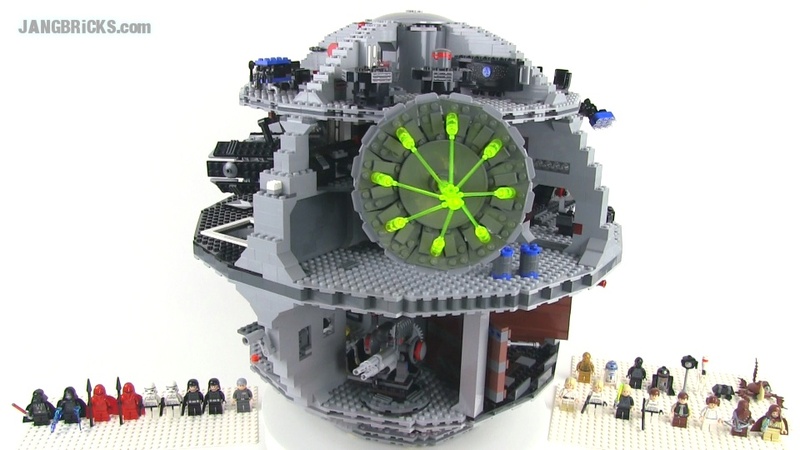 LEGO's Death Star ain't no joke. I spent two hours in the studio filming this thing, capturing over an hour of footage. After ruthless cutting, the finished review slips in just under the 25 minute mark with absolutely minimal fluff! 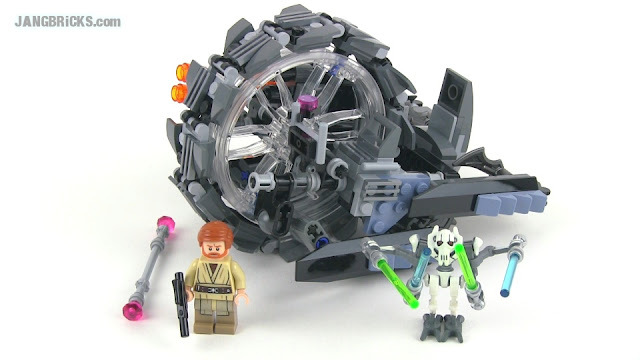 Video: LEGO Star Wars 10188 DEATH STAR reviewed! 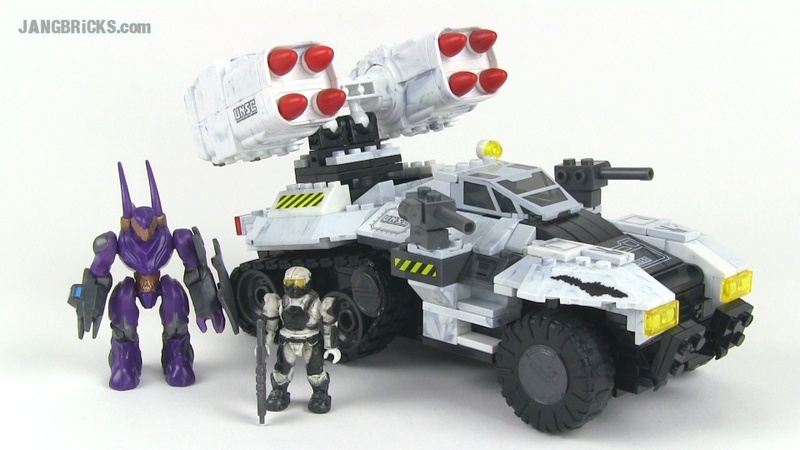 Mega Bloks True Heroes Stealth Attack set review! 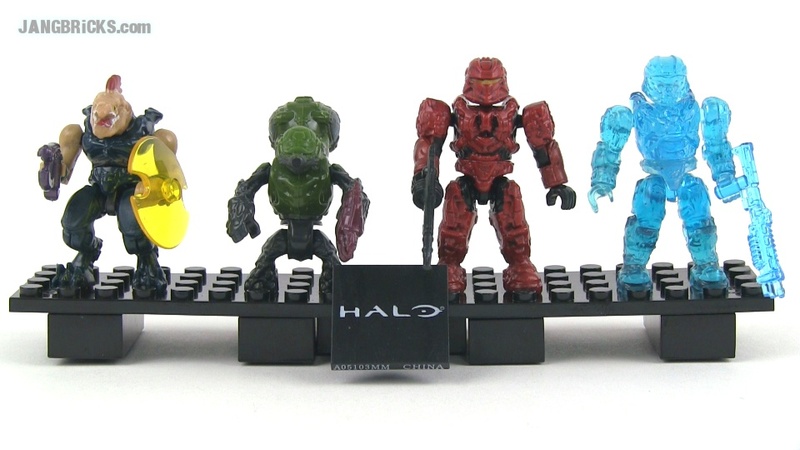 Mega Bloks Halo Micro-Fleet series set reviews, all 3! 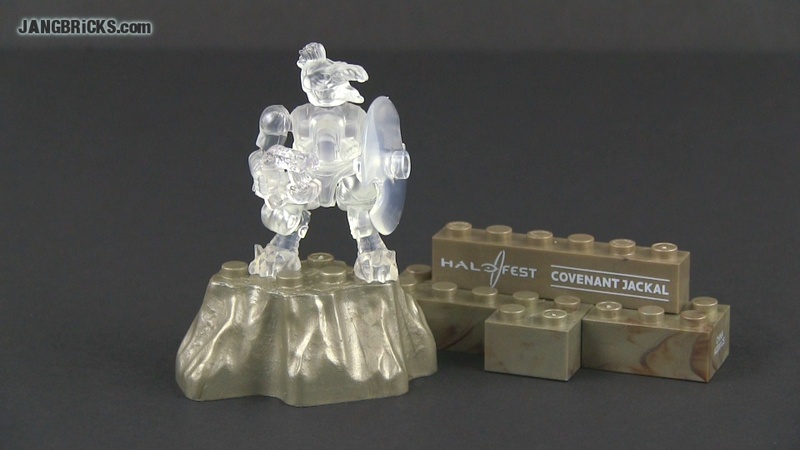 Mega Bloks Halo Micro-Fleet 97224 Hornet Assault set review! 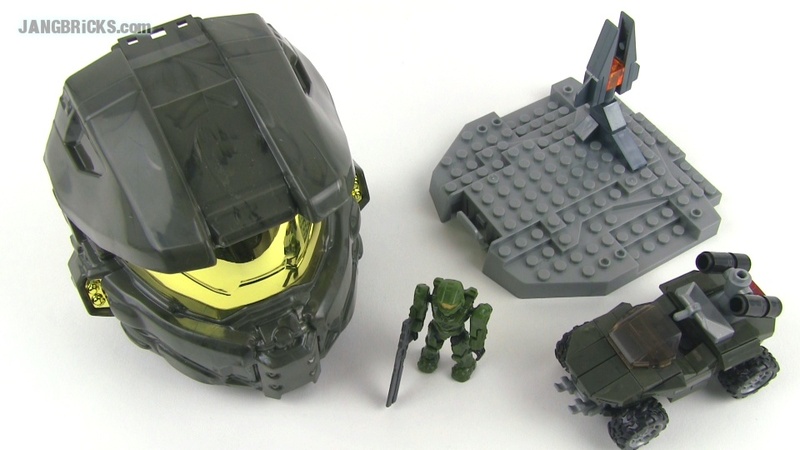 Mega Bloks Halo Micro-Fleet 97216 Warthog Attack set review! Happy (belated) Flashback Friday, with bonus! 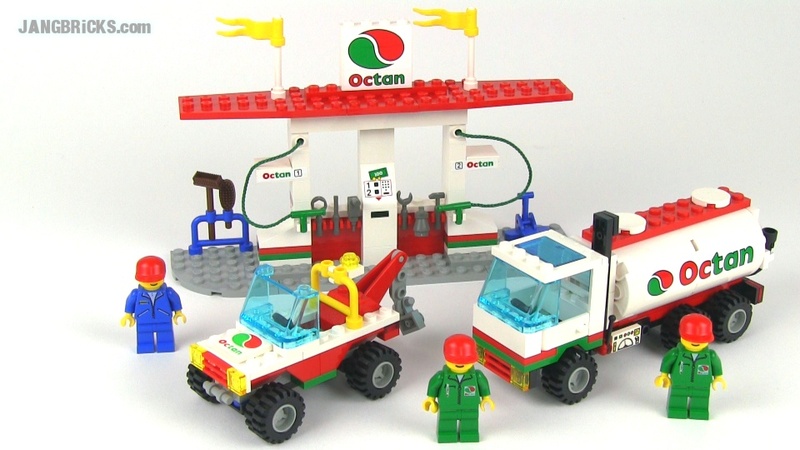 Classic 1995 LEGO System 6562 Gas Stop Shop set Review! The bonus once again comes in the usual form, minifig openings! LEGO Movie (Series 12) collectible minifigs - SEVEN bags opened, Jan. 17, 2014! 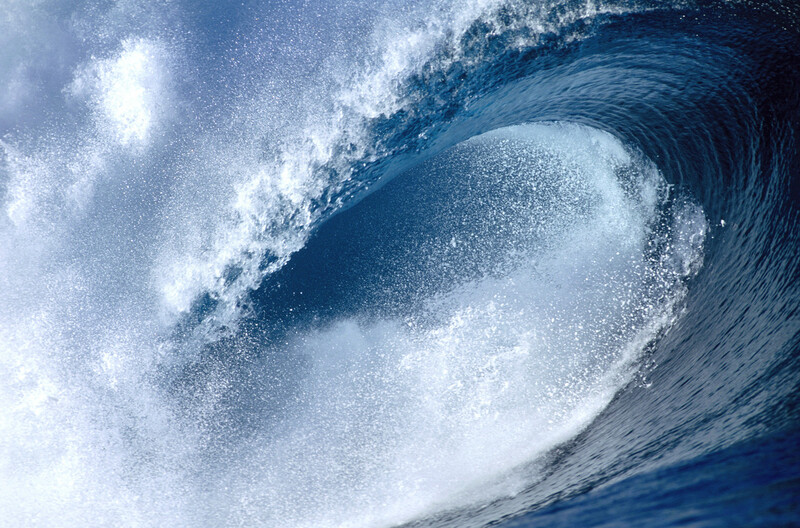 First off, I received the tail end of the tidal wave of new sets today, and you can see those unveiled on video! I didn't even bother filming the last batch of new sets as it was smaller and I was too busy to be bothered with it. I've got reviews to pump out! 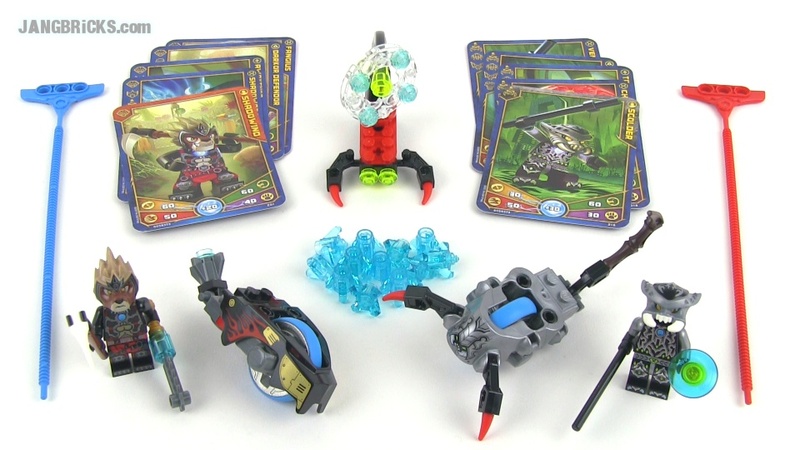 Later I'll post up five new reviews uploaded this evening, but already by the time you read this post, I've finished building and filming all of the wave 1 Hero Factory IFB sets and have moved on to the next round of videos for those sets & pieces! 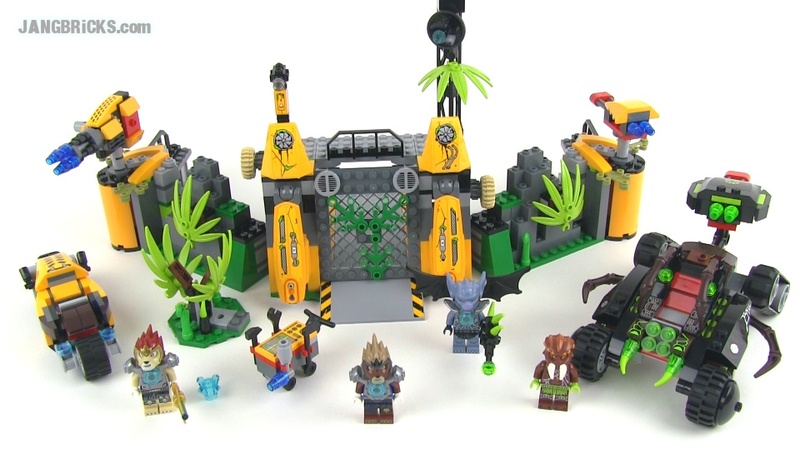 LEGO Chima 70134 Lavertus' Outland Base set Review! The big set for the good guys' side from season 2 wave 1 of Legends of Chima right here! 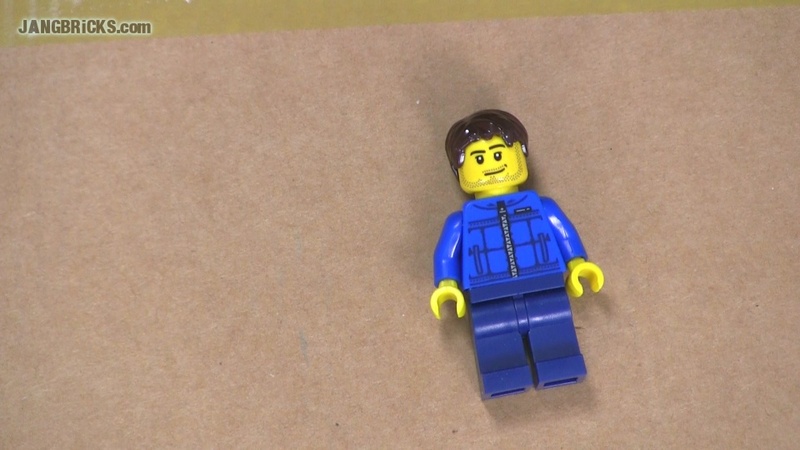 Video: LEGO Chima 70134 Lavertus' Outland Base set Review! 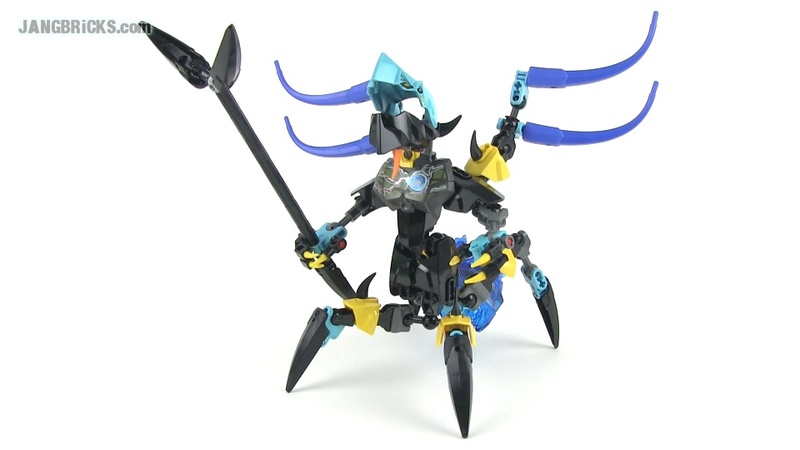 LEGO Hero Factory 44016 JAW Beast vs Stormer (Invasion from Below) set review! The Invasion continues! 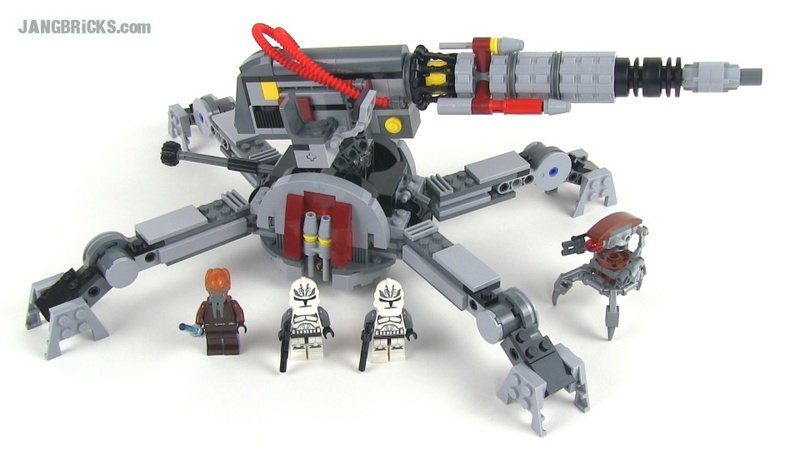 I really didn't like the first Invasion from Below set I happened to review, but this one looks like it might be a good deal at a projected $10 USD price. 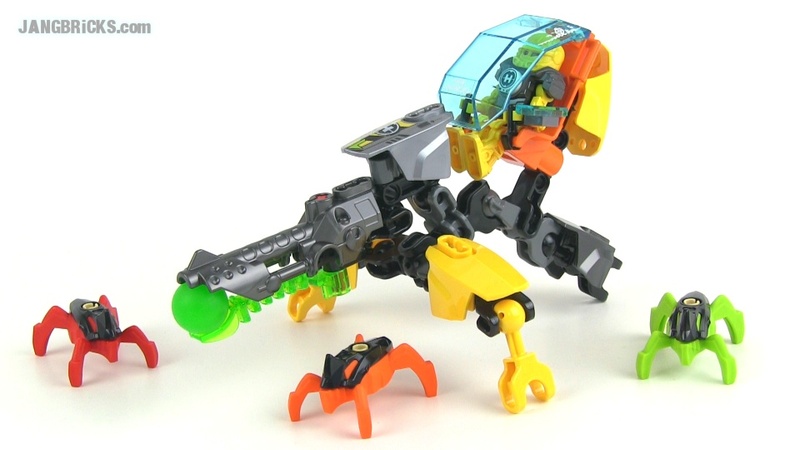 LEGO Hero Factory 44015 Evo Walker in-hand Invasion from Below set review! Surprise! 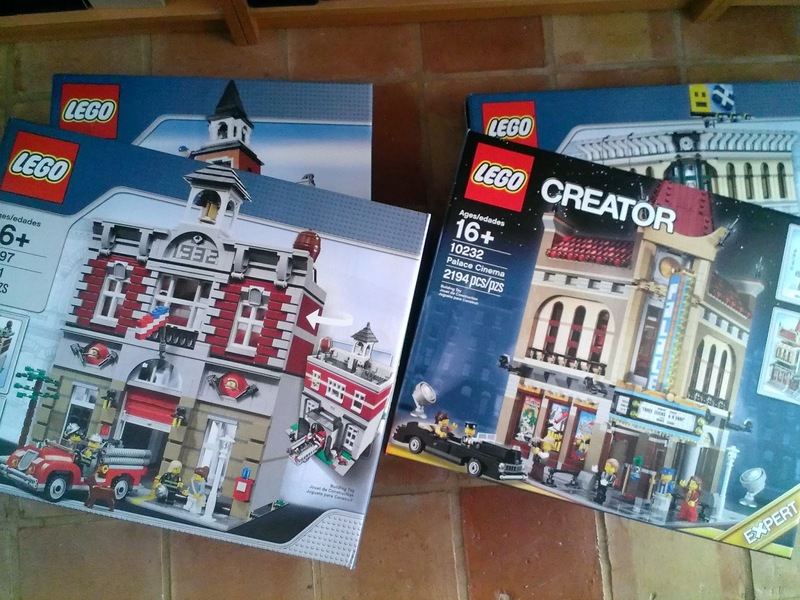 I didn't receive just one LEGO haul today, I received three, sourced from two different continents (neither of them on my side of the planet), and in one of them was my first 2014 Hero Factory set! I made it a good day for Chima fans! 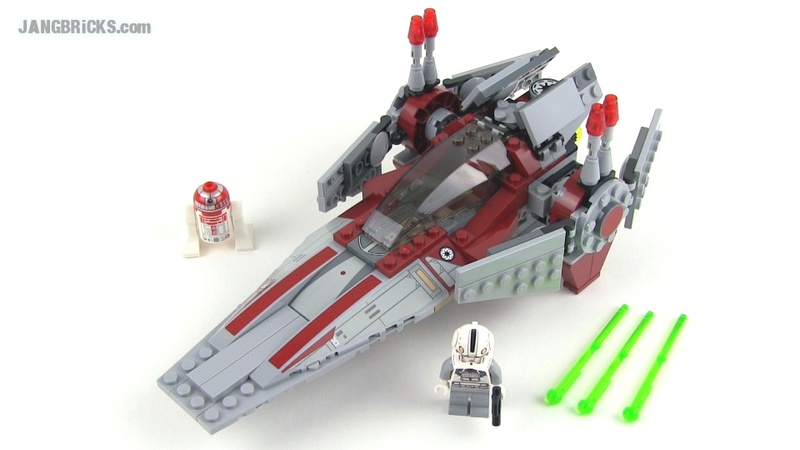 Four brand new set reviews are up! 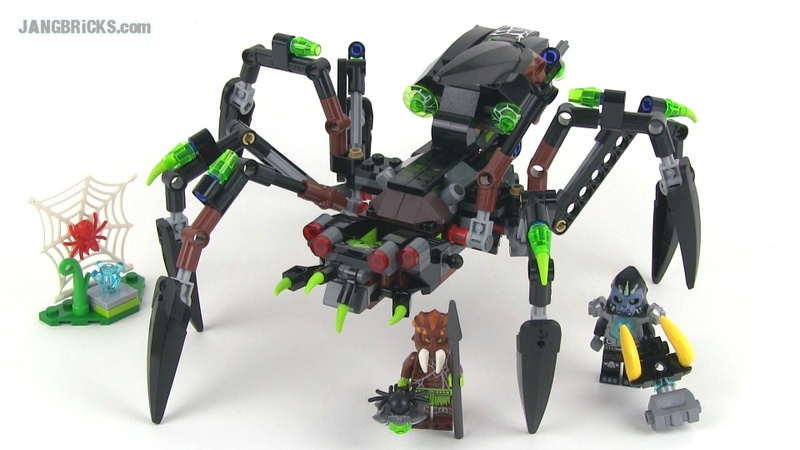 LEGO Chima Sparratus' Spider Stalker 70130 set review! 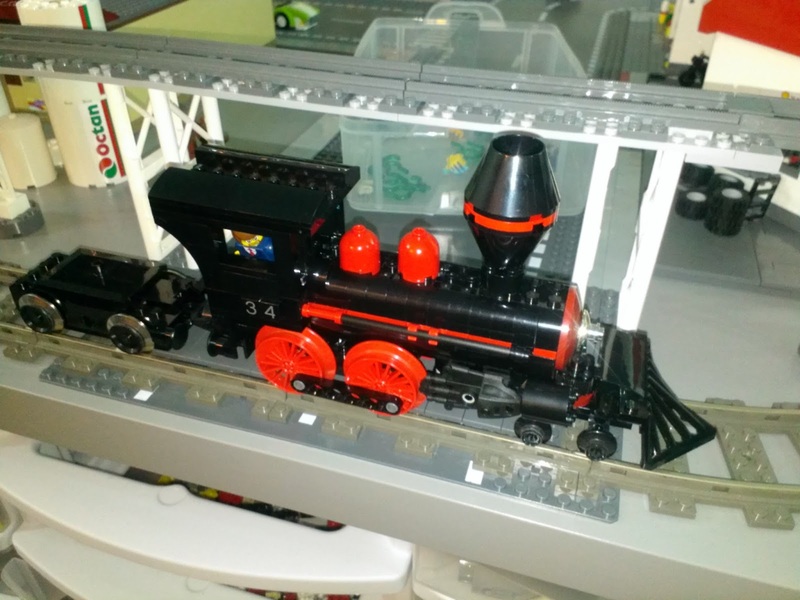 LEGO Chima Lavertus' Twin Blade 70129 set review! 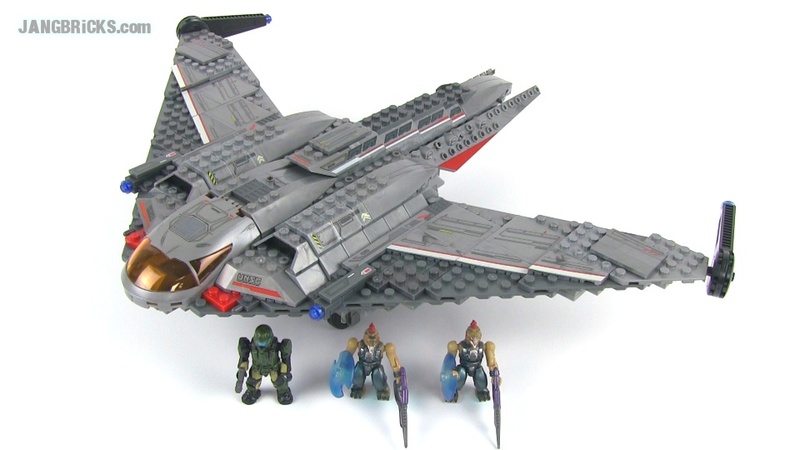 LEGO Chima Braptor's Wing Striker 70128 set review! 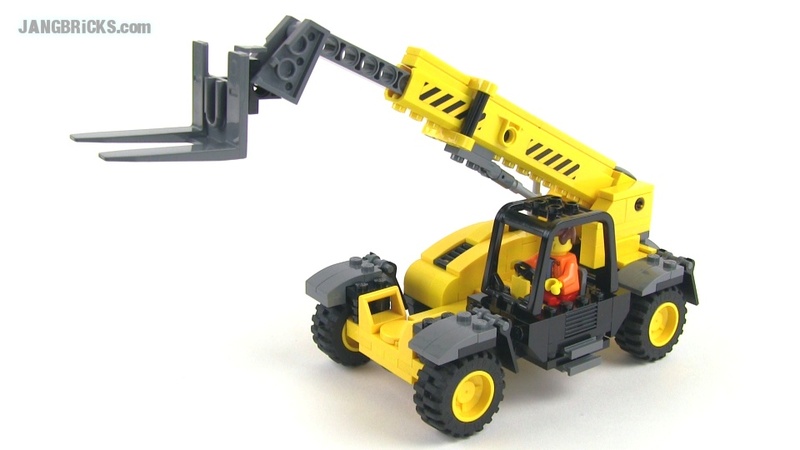 LEGO Chima Rogon's Rock Flinger 70131 set review! Lots of videos going up on the JANGBRiCKS YouTube channel today! I'll summarize everything here later on, but for now I'm going to focus on the primary work. Make sure you're subscribed and/or checking once per hour or so if you want to see all of the latest uploads as soon as they're made public! 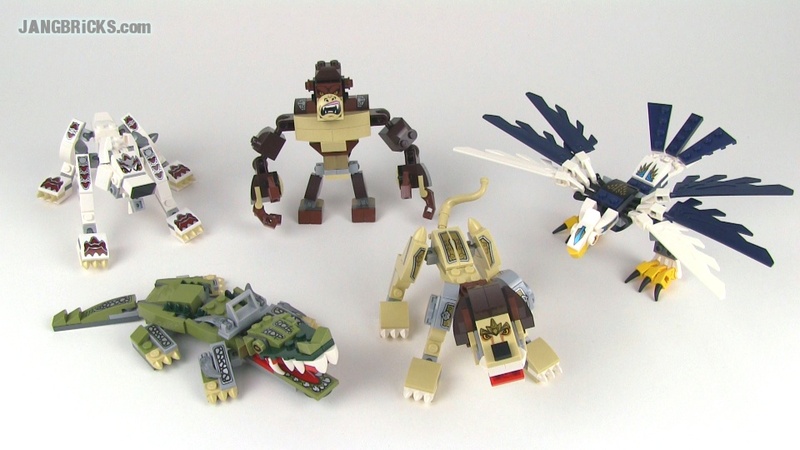 All LEGO Legends of Chima Legend Beast sets reviewed! 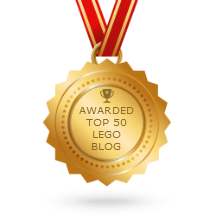 LEGO Chima Lion Legend Beast 70123 review! LEGO Chima Crocodile Legend Beast 70126 review! 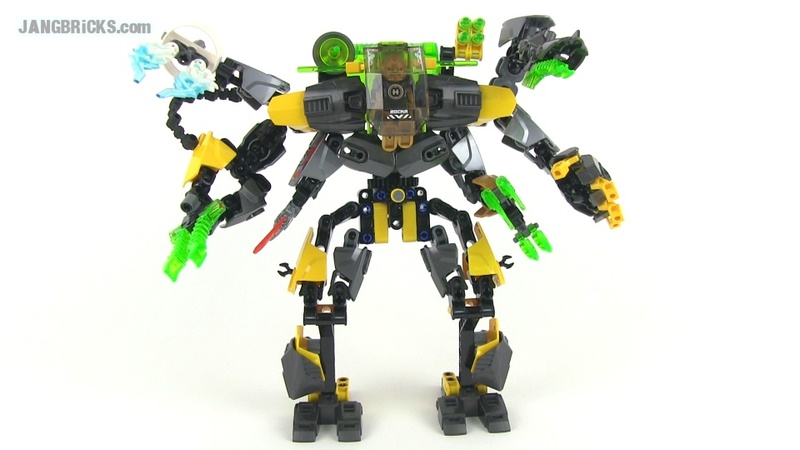 LEGO Chima Gorilla Legend Beast 70125 review! LEGO Chima Wolf Legend Beast 70127 review! 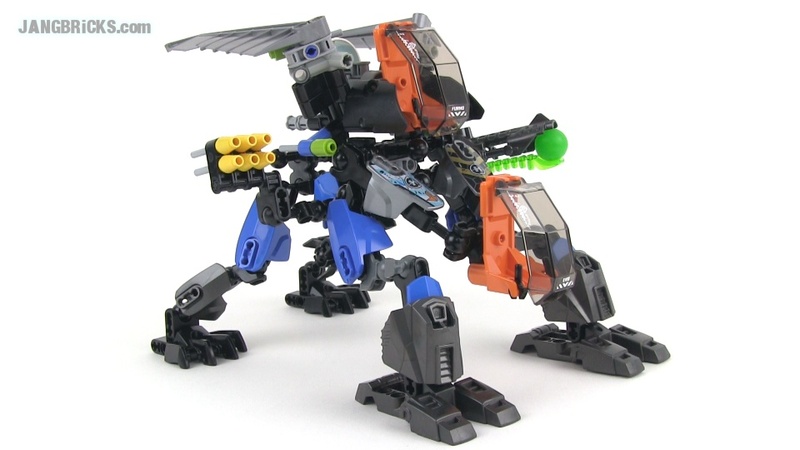 LEGO Chima Eagle Legend Beast 70124 review! LEGO Chima Legend Beasts: Overview & focus on NEW parts! 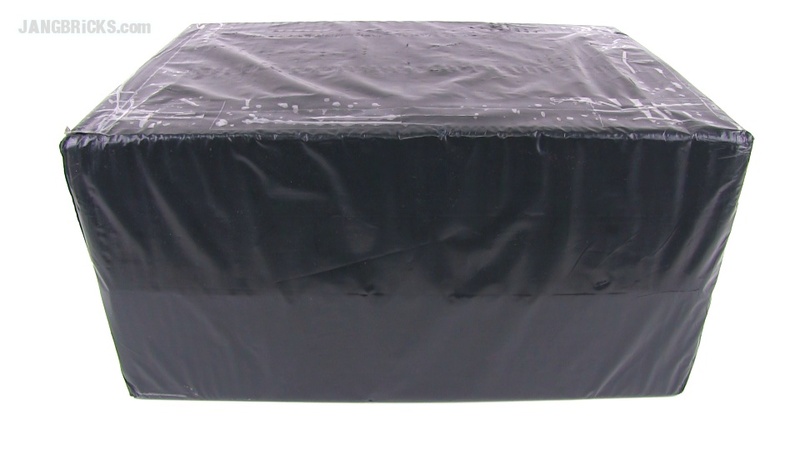 It seems the tip of the tidal wave comes in the form of a black box, or should I say, a brown box wrapped ominously in a black bag. This isn't the single most exciting of the incoming packages, but I'll take it! It's not 2014. 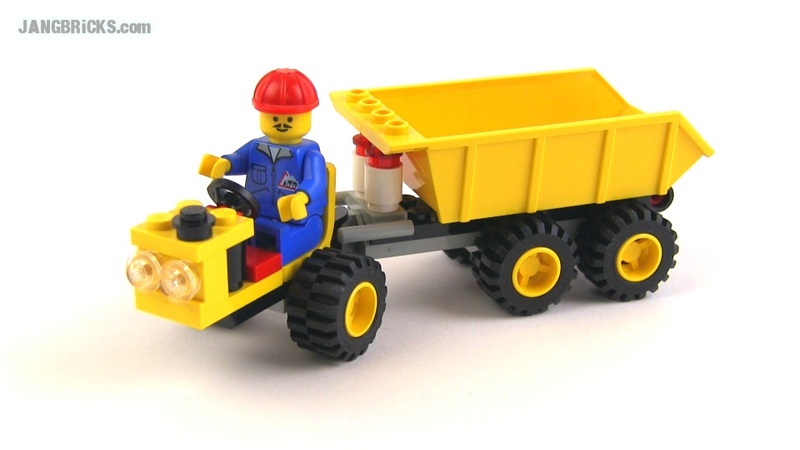 No, it's 1995, and right now at your local Toys R Us there's a tiny little LEGO set on sale called... drumroll please... the Dumper, or Diesel Dumper as some prefer to call it, for a little less embarrassment. Very few pieces, not much to it, but save for the fancy torso print and mustache, this might as well be yet another 10 years older still! 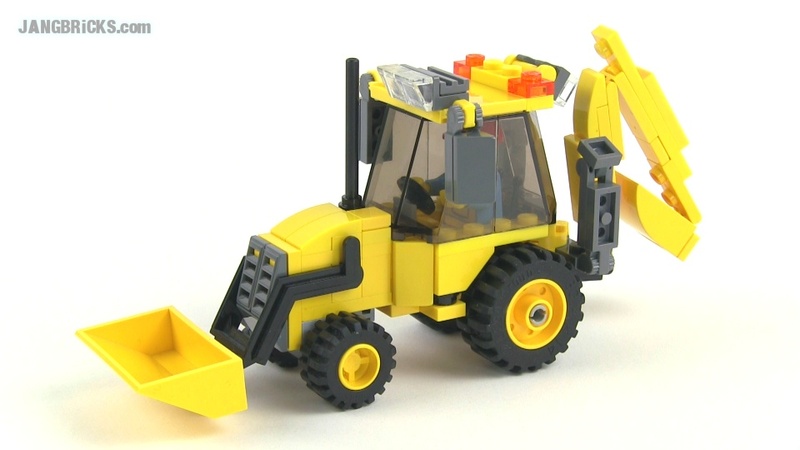 Video: Vintage 1995 LEGO System Diesel Dumper set 6535 reviewed! 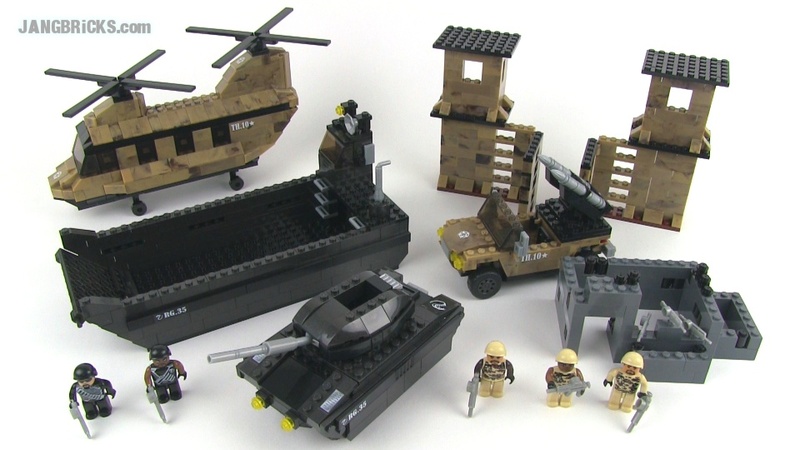 After my record-breaking reviewing stint with the LEGO Movie sets, I am taking a well-earned break to do a bit of MOC-making. The break won't last long, though. I just took a careful tally. 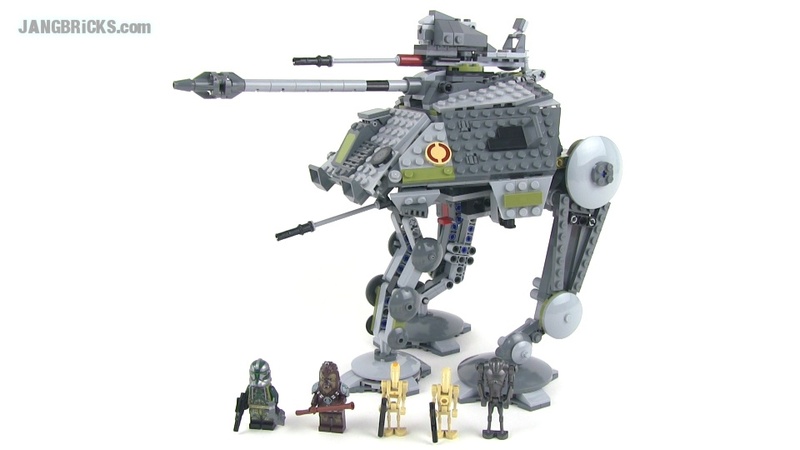 At this very moment, 49 LEGO sets are on their way to me from 3 different countries. Think about that for a second. 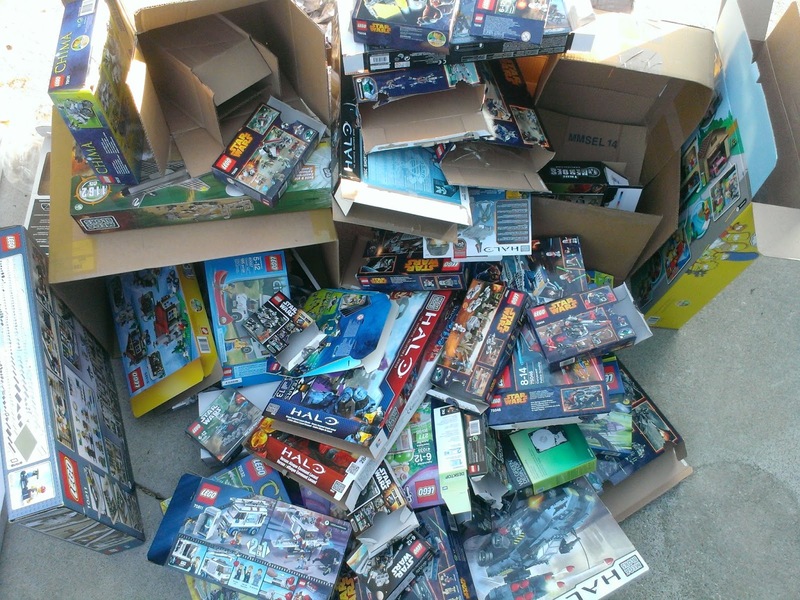 Forty-nine complete, new, unopened sets; all new 2014 releases at that! My wife & I will be building for weeks once this stuff touches down! 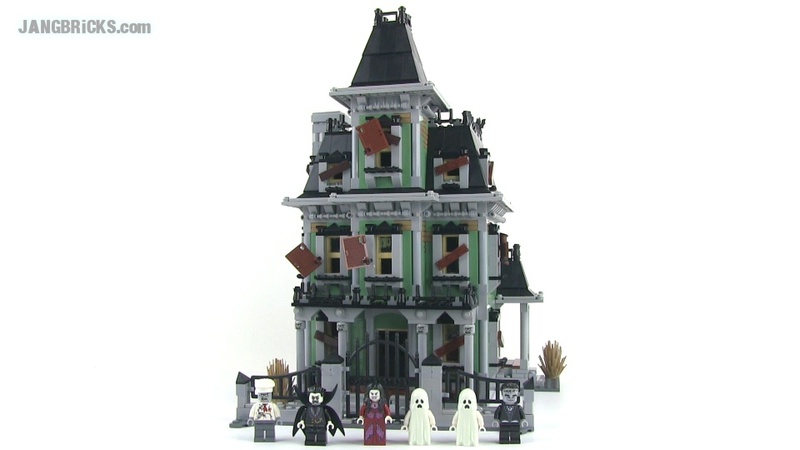 Add to that the 25 more sets we already have on-hand, stacks of minifig mystery packs, and MOCs currently underway or in the near-term plan, and all of you are going to be kept very thoroughly entertained for quite some time to come! Good news! I didn't want to say anything before it was a done deal, but I've purchased all of the first wave of 2014 Hero Factory Invasion from Below sets from the UK where they've been released months before the US! Transportation across the stormy Atlantic and blizzardy North American continent may take weeks, but it's the best I could do. 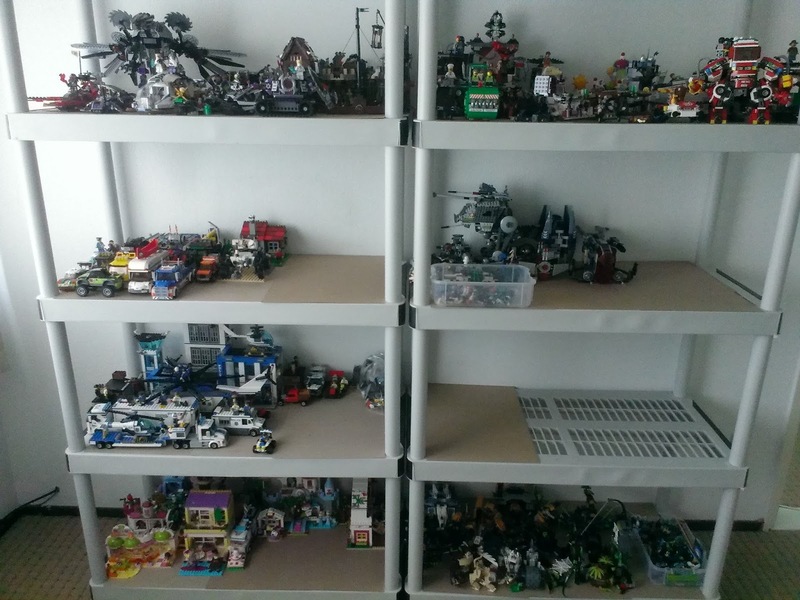 This evening's work is finally complete for me, with more independent reviews of just-released LEGO sets! 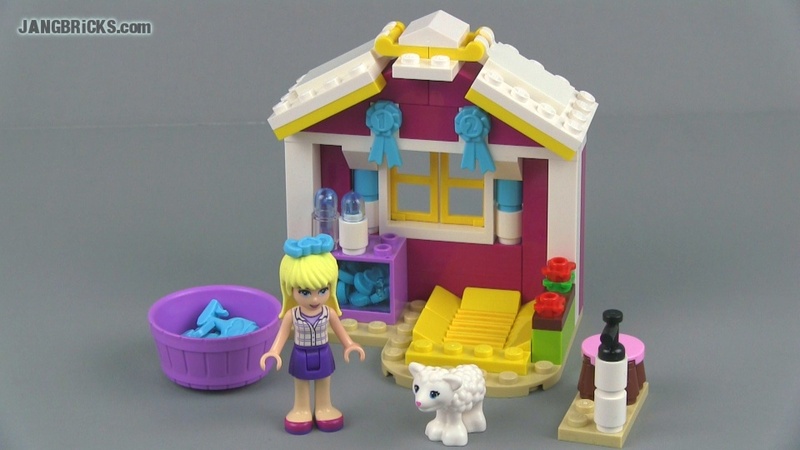 LEGO Friends 2014 Heartlake News Van set 41056 review! 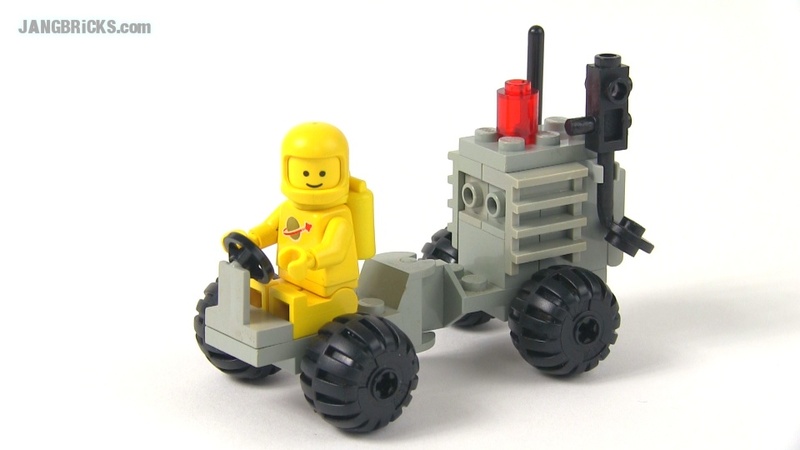 LEGO City Police ATV 30228 polybag set review! 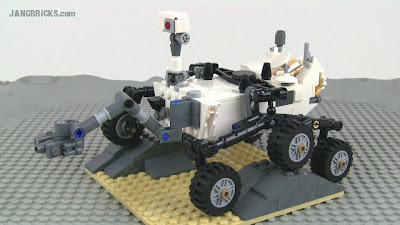 In addition, today I published my 10th LEGO parts collection video, with hopefully just one more of these to come. 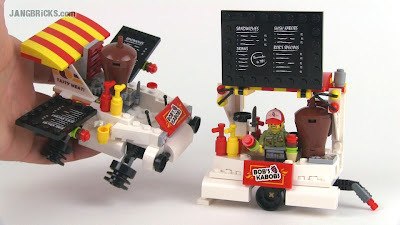 I also put up another "remix" MOC video, this time offering a 60053 Race Car alternate build. LEGO set #452 reviewed -- Classic Space from 1979! Happy Flashback Friday everyone! Once again we dip into the 70s (just barely) and the beloved original Space series. Enjoy! 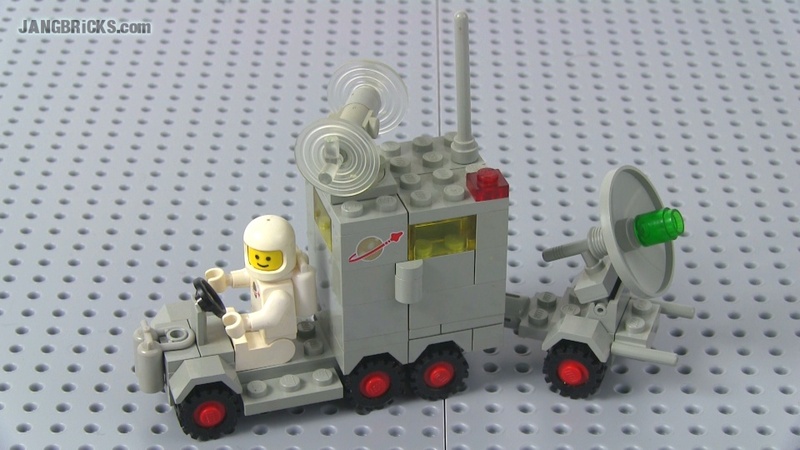 Video: LEGO Classic Space set 452 Mobile Ground Tracking Station reviewed! 1979! Time for me to get back to work! Three more videos for your brief entertainment today, more to come tomorrow. 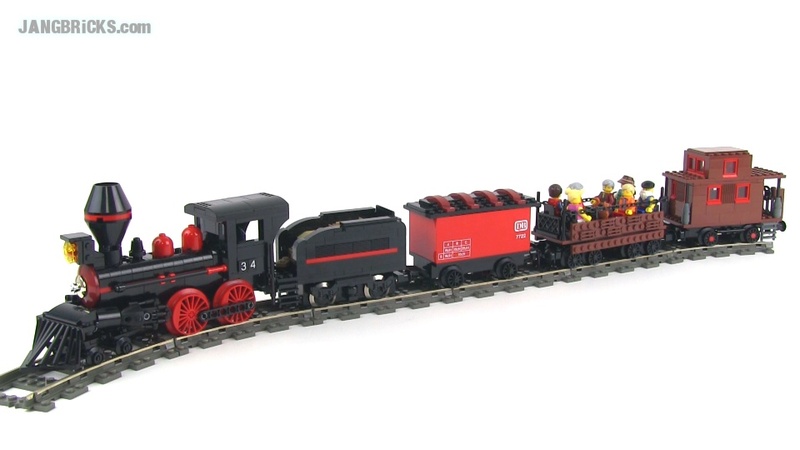 The rest of the first wave of 2014 sets are now all at LEGO stores including their online shop, though there are still country-specific restrictions (e.g., Hero Factory & Chima aren't yet in the US). LEGO 70812 Bob's Kabobs alternate build - JANGBRiCKS Remix! LEGO Movie (Series 12) collectible minifigs - SEVEN bags opened, Jan. 2, 2014!